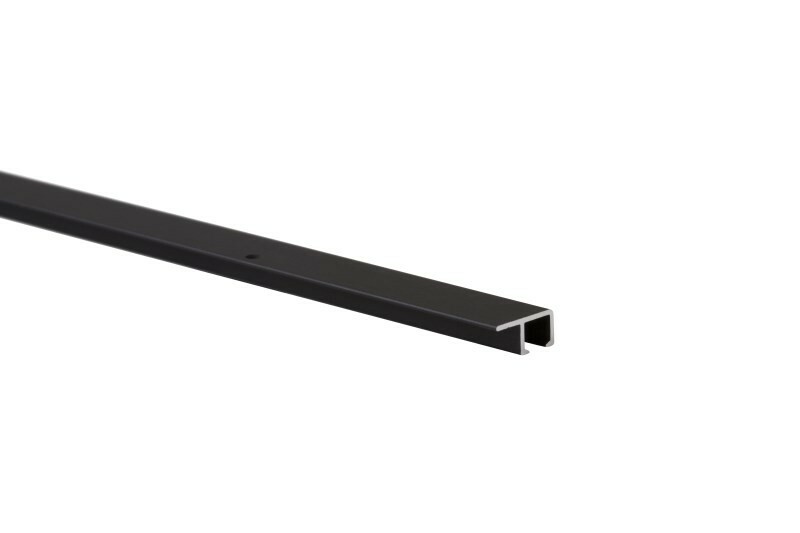 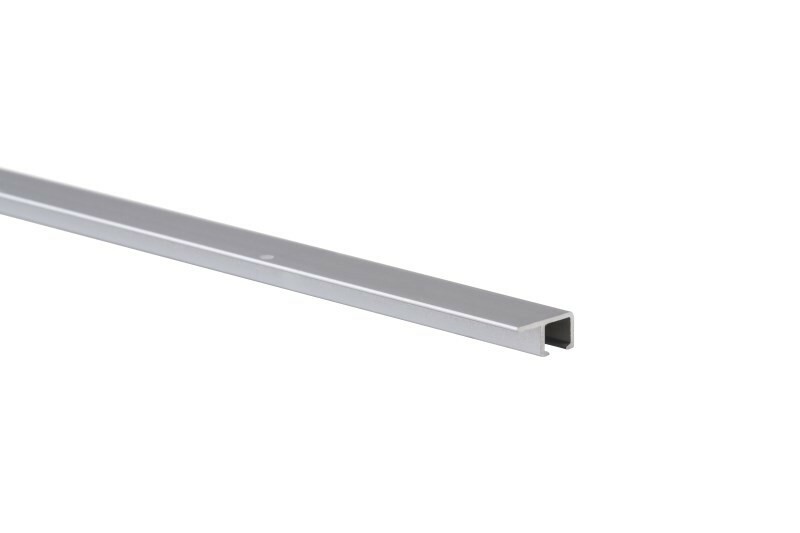 STAS u-rail is specially designed for suspended ceilings. 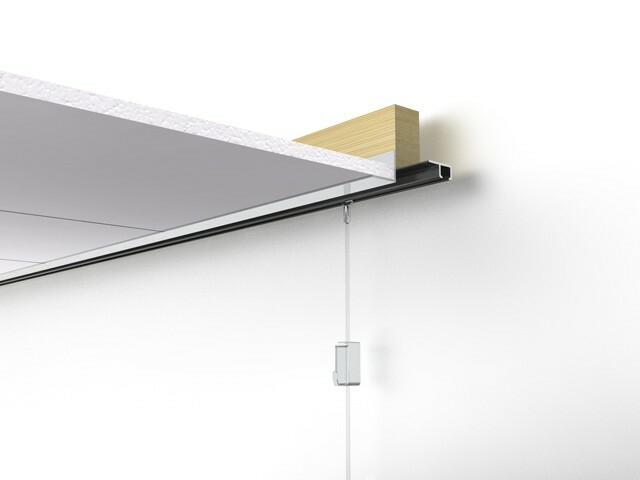 The rail is easily and almost invisibly attached to the supporting edge trim of the suspended ceiling. STAS u-rail is also ideally suited for hanging whiteboards, billboards or large maps. 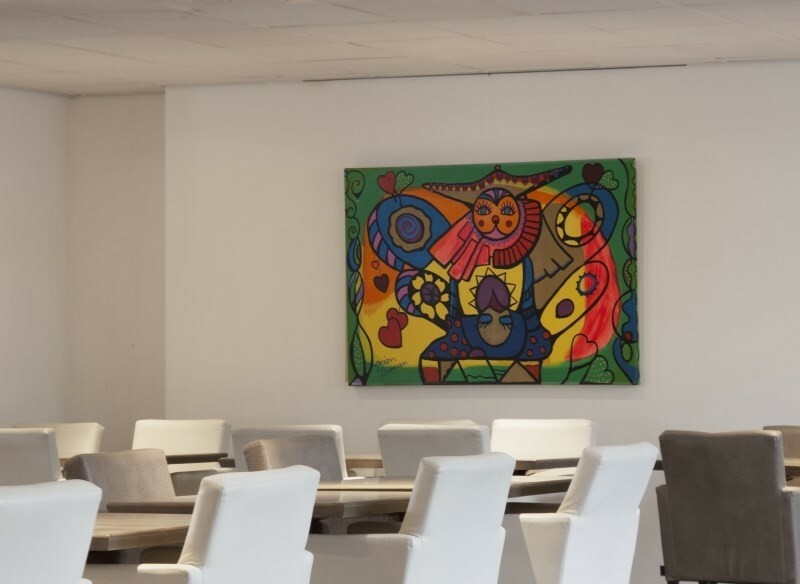 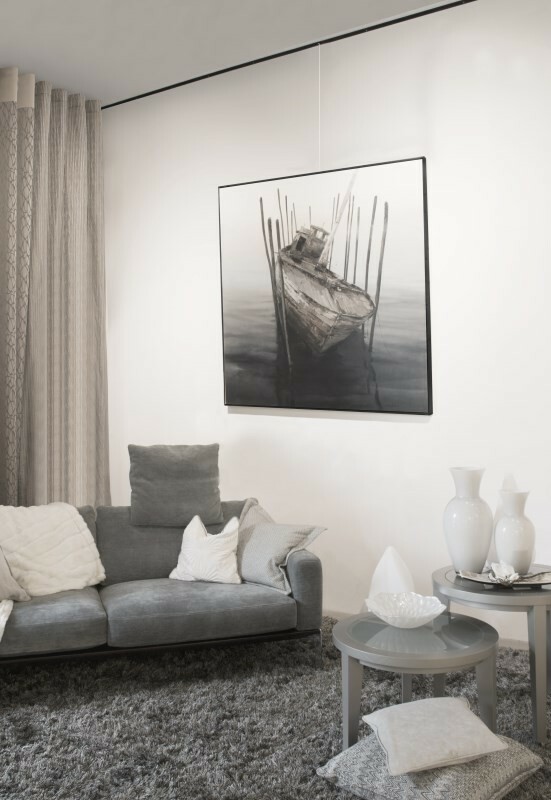 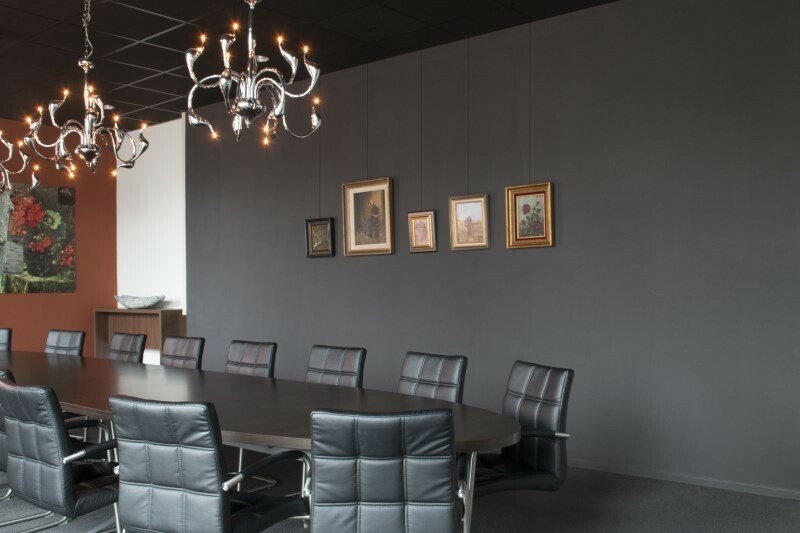 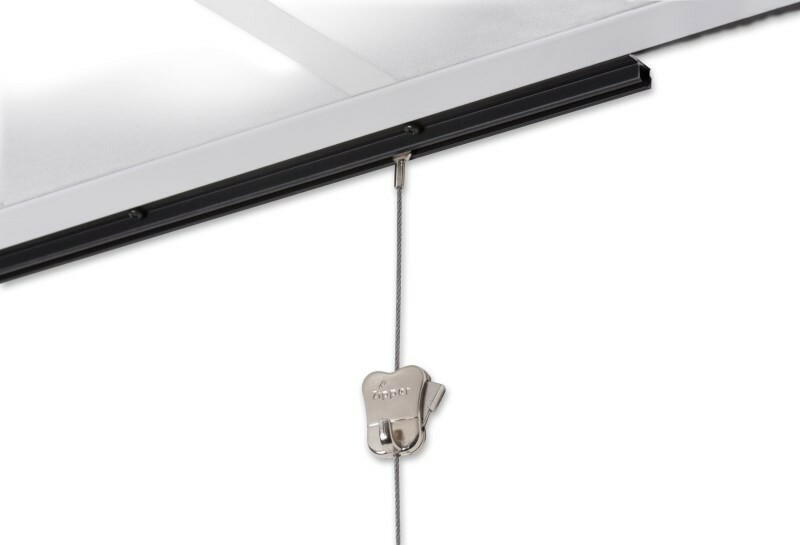 So now, with just a small modification, your suspended ceiling becomes a versatile picture hanging system, ideal for use in offices, schools and healthcare facilities. 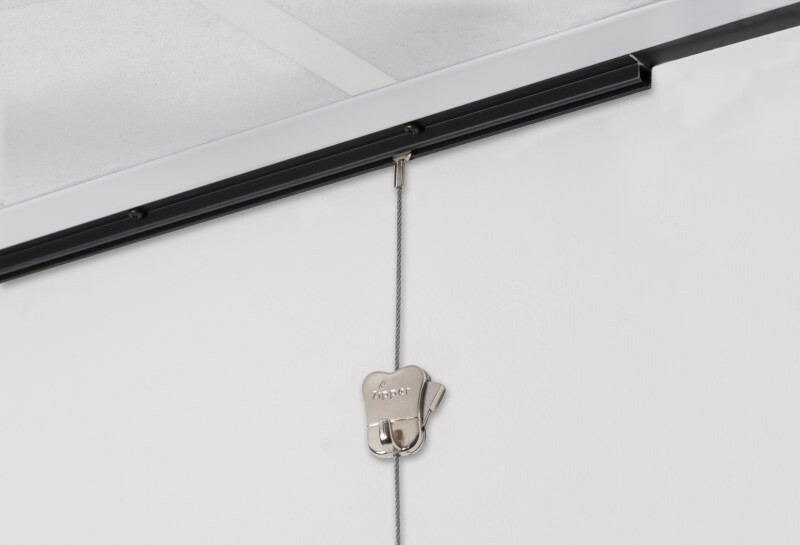 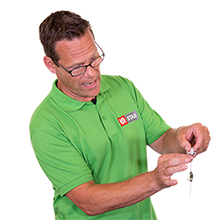 The STAS u-rail has been purpose-designed to turn the suspended ceiling into a flexible hanging system in a matter of minutes. 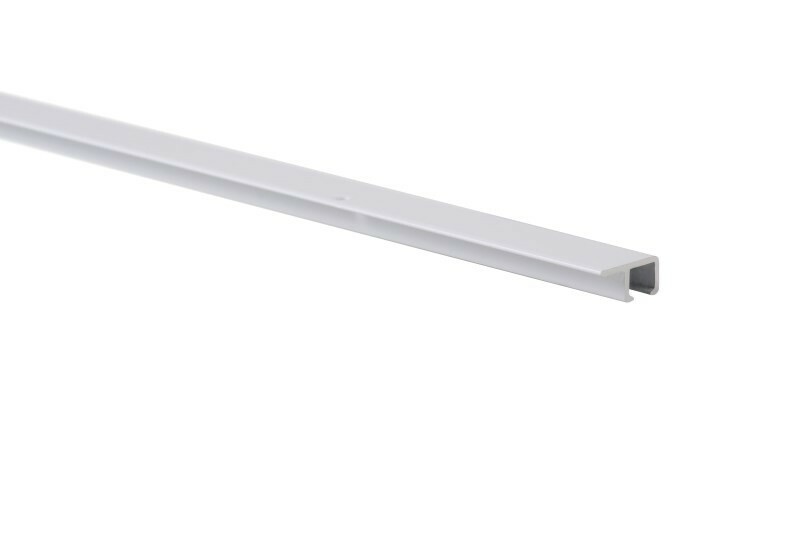 The rail is available in the same colour as the wooden tile support strip and attaches almost completely invisibly to the ceiling tile support strips.